Individuals and families will be provided a safe place to explore how you are experiencing your life and your relationships. Using Emotionally Focused Therapy to examine the areas you are becoming stuck, you will gain a deeper understanding of what lies beneath the conflict and presenting issues. The ability to understand and experience emotional needs allows you to reconnect with yourself and others on a deeper level. 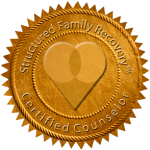 Family Therapy sessions can teach skills to deepen family connections and get through stressful times, even after they are no longer attending therapy sessions.